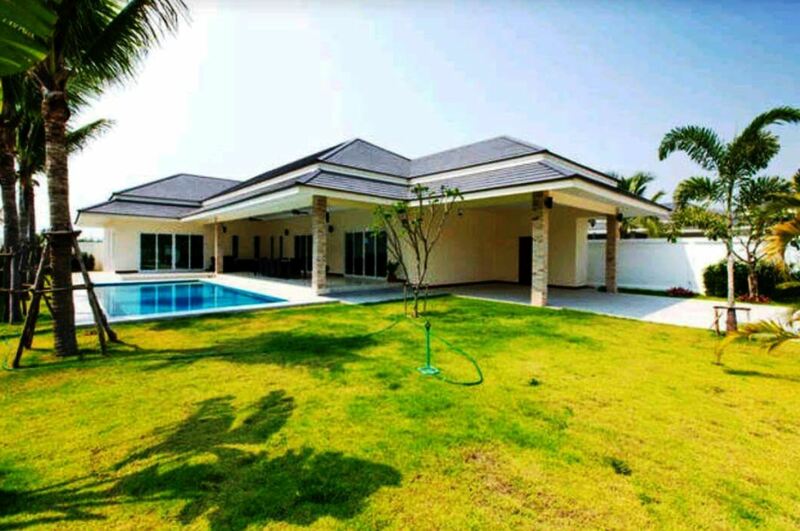 Palm Villas is a modern community with 39 luxury pool villas near Palm Hills Golf Resort at Hua Hin north with just a few minutes to city, beach and golf. The village has 24/7 security and communal fitness room. 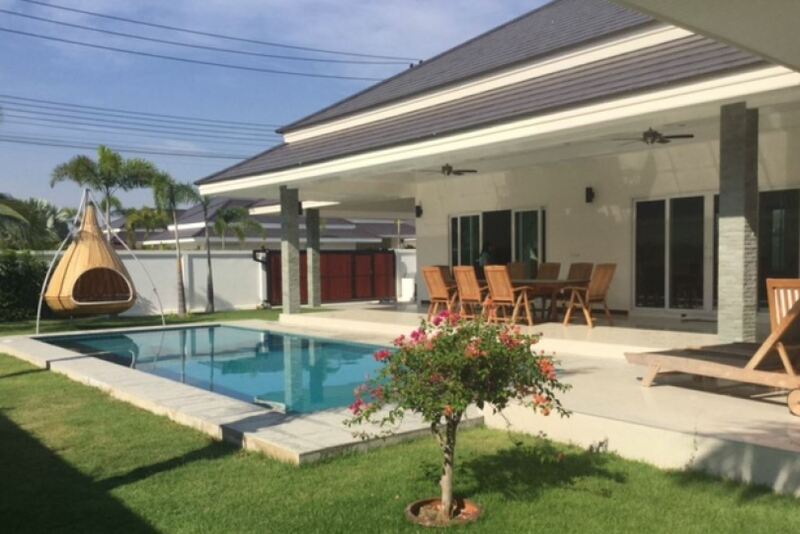 Monthly maintenance fee as low as 2,5 baht/sqm. 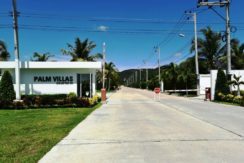 This summary shows available properties at Palm Villas in Hua Hin, including villas for Sale and Rent (S&R). The summary provides a link to each property allowing easy reference (just click the link to open each listing). Rental listings contain availability calendars. 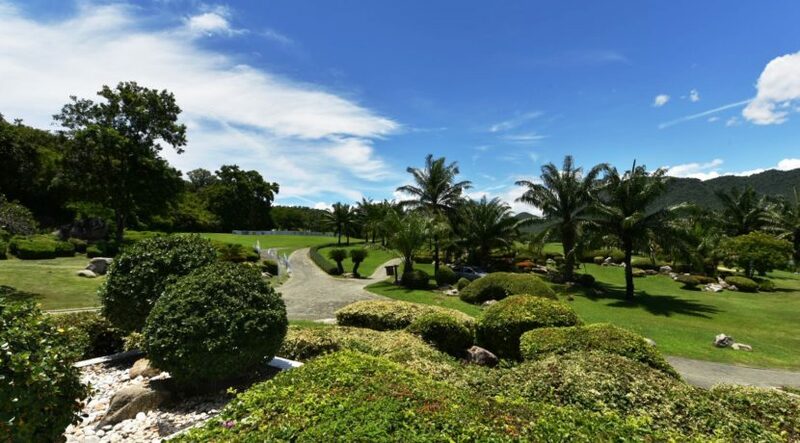 Further find additional community info, including facilities and nearby amenities. 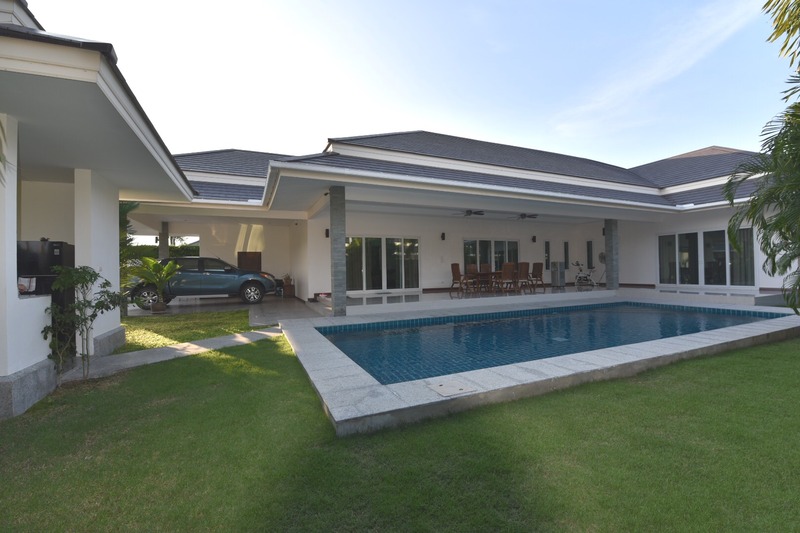 Click to download a summary of Palm Villas properties for Sale&Rent.